Grand Kingdom is an odd game in some ways. It’s a premium priced title, but it has features that behave like a free-to-play one. It’s got a bright, airy art style, but an almost ridiculous amount of depth. It’s got the most irritating lead protagonist in years, and yet I find it (though not him) captivating. The protagonist, first. 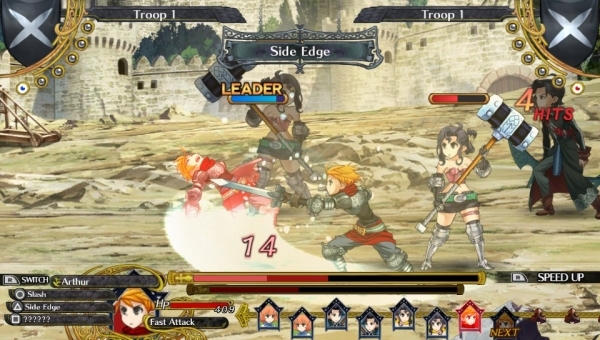 In Grand Kingdom’s single player game, you take control of a band of mercenaries who find themselves allying with one of four kingdoms that are all vying for control over a continent. You’ll shift allegiances easily, based on which nation is offering the most interesting contract, and as you complete missions, your relationship with the respective kingdoms grows, opening up more interesting and dangerous missions to undertake. This is good stuff, and immediately engaging. In a game like Fire Emblem, you’re often cast as the leader of a “mercenary” company, but really that’s just a code word to excuse the fact that, on your hunt for the big evil end boss, your army is invading other nations. This is legitimised if you’re a dogs of war troop, though, so the game doesn’t need to explain why you’ve got carte blanche permission to cross borders at will. 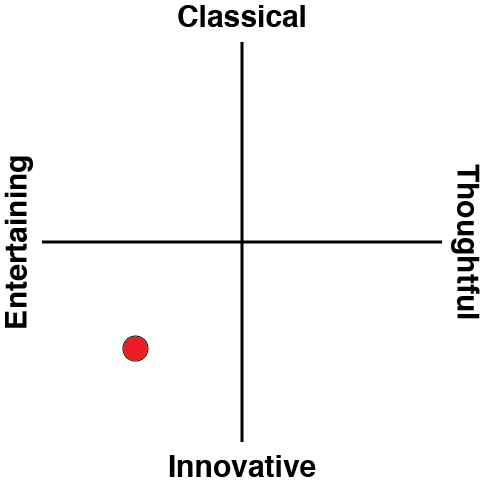 It works, but I inevitably end up pining for a game where I can really take control of a more genuine mercenary troop. There’s something fascinating about the mentality of private armies, that people that work for them can rationalise killing people that they might have worked for just prior based on who is paying the most coin. It’s hardly a noble profession, but boy is it an interesting one for adventure and fantasy hijinks. Grand Kingdom really does put you in command of a mercenary company, and this is an utterly brilliant set up. It’s exciting because you get to recruit a wide variety of soldiers, built a whole bunch of different teams of them (three or four to a team), and then send them out on various missions – or control them directly. Creating effective fighting teams, and then choosing the right contracts that those teams can handle, is fun. Watching your force of mercenaries slowly grow and develop is fun. Taking control of them against equally diverse armies of enemy mercenaries is fun. It’s just that Flint, the lead protagonist, and the one that pops up to talk whenever the narrative calls for characters calls for dialogue, is an utter ****head. He’s in the habit of talking to the woman assistant – his assistant, as though he’s about to demand she get into the kitchen make him a sandwich. Each time he called her “sweetheart,” usually following something condescending or demeaning, I wanted to reach into the screen and throttle the smarmy toolbag. Thankfully this isn’t a story-driven game, so after the tutorial his grating attitude pops up infrequently enough to ignore, but boy did the developer, Monochrome Corporation (MonoChro to its friends) play with fire in making a character like that. 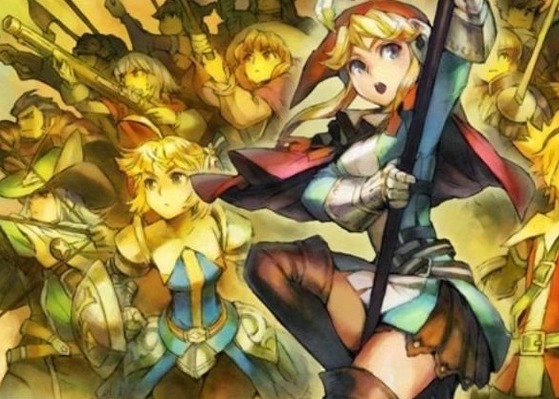 Other than Flint, there’s not much to criticise about the presentation of Grand Kingdom. The 2D art is rich in colour and detail, and each solider moves around the battlefield with real elegance. Special attacks are nicely spectacular, and maps are laid out gorgeously. So, putting Flint to the side, I found it quite easy to get drawn into the game, and my ability to micromanage hordes of little peons. The gameplay itself is broken into two segments; there’s an overworld map, and then there’s the battles themselves. Each mission places one of your teams of mercs on a map that has been broken up into squares – like a board game, really. Your job is then to manoeuvre around the map to achieve whatever objective is set to you, before the pre-set number of turns run out. Also on the map are enemy units, who also move around in a turn based manner, and bumping into one of these will start a battle. These battles are turn based affairs themselves. Each battlefield has three “lines” that a unit can shift up and down at will. The goal is, obviously enough, to wipe out the enemy force. What makes this combat system so fundamentally interesting is that the different units have such a great variety in utility on the battlefield. The front-line soldiers are as good for blocking enemies from passing as they are in doing damage, but on the back lines you’ll have healers who can also toss nasty acid potions, mages that are as good as laying down boosts as they are knocking down enemies, gunmen, who need to operate from great distance, and dragon mages, which are utter beasts in battle, but take up two spaces on a roster of just four, meaning that you’re giving up previous variety for that power. Complicating things further is that friendly fire is a very real challenge. I’ve lost count of the number of times I’ve slightly misjudged an acid bottle toss with my healer, only to accidentally break the guard of the (allied) soldier she was safe behind. A couple of enemy turns later and I’d lost my solider from that mistake. Combined with an enemy AI that can be ruthless when it sees an opportunity, and Grand Kingdom knows how to be unforgiving. Which simply makes victory in battle all the sweeter. 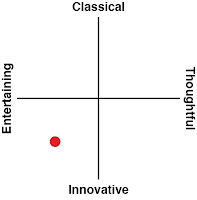 And you’ll be doing this across a range of different play styles that are intensely varied and interesting. Some missions require you to capture a point. Others mandate you hunt out a certain number of enemies, or still others have you defending a spot for a length of time. The game’s biggest strength is its variety, because there’s enough there to keep you playing for hours without getting bored. The online play is interesting stuff, too. You’ll form contracts with your choice of the game’s four main nations, and then send your troops off to the battlefield to represent that nation. This can be done in two different ways; one is to control the units yourself, which puts you down in some real-time action against rival warbands. The other is to designate your units to fight, which means you can then put the controller down, come back a few hours later, and see how they’ve performed. This way it’s possible to keep the forces developing throughout the day as you do other things as well. You can juggle a lot of different units at once, and a big part of the fun is forming ideal teams. I found myself spending a lot of time testing out different combinations to find their synergies – not unlike how in multiplayer shooters or MOBAs, each player has their own role. 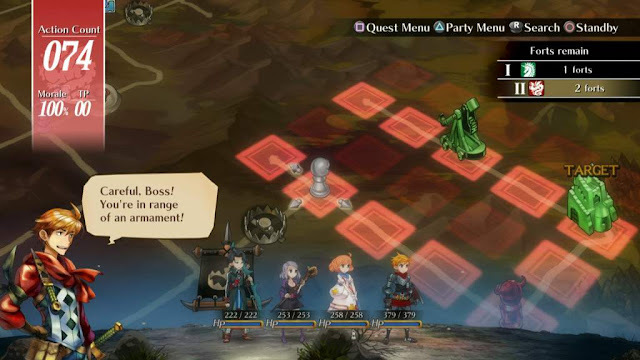 In Grand Kingdom, you’re controlling them all at once, but otherwise the strategy remains the same; a successful team requires having mastery over a group of characters with disparate abilities and bringing them together so that they work well together. 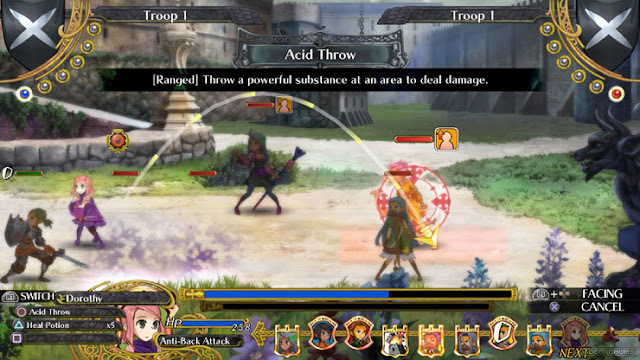 There’s a lot you can do to customise individual units, too – Grand Kingdom is a bit of a micromanager’s dream, with a wide range of statistics to level up as characters gain experience, as well as equipment and skills for each individual hero. My favourite team is a bunch of moustached dandies that swashbuckle their way through enemy lines with speed and precision… but I digress. It’s almost overwhelming the amount of control that you do have over so many units, and the game doesn’t take long to push your unit management abilities as far as in any Final Fantasy Tactics game or similar. 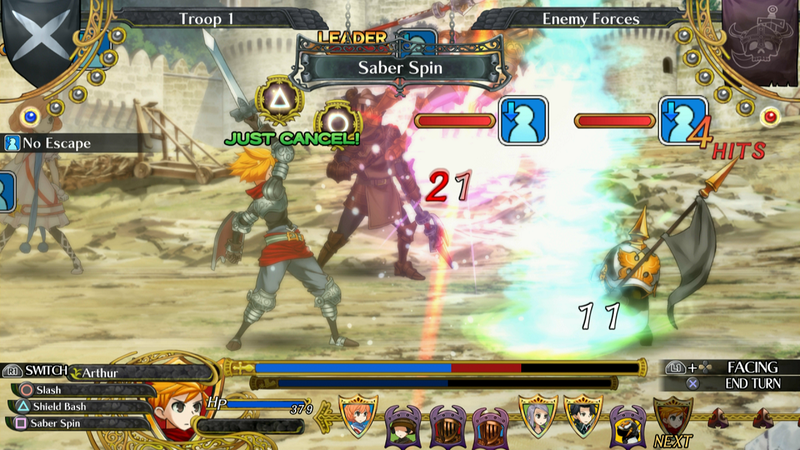 What lets Grand Kingdom down a little is the interface, which is clunky and unwieldy. Even a dozen hours in I would forget which menus I needed to jump into for specific actions. The on-field action flows well enough, but back at home base, there’s so much button pressing to do to get through menu after menu, and so much information to wade through, to even prepare my units for the next battle put a real strain on how much I could play the game in one go before needing a brake from the wading. For the patient, though, Grand Kingdom is very worthwhile stuff. As a debut, it proves that Monochrome Corporation is a talented development outfit, and this is one of the more original takes on the tactics genre that we’ve seen in recent years. The reliance on a specific online experience that is reminiscent of mobile games makes me almost wish I was playing this on iPad, but the sheer depth and breadth of content more than validate the premium price point.